Microsoft’s Windows 10 Insider Preview Build 15007 for PC and Mobile (10.0.15007.1000) is now available to Windows Insiders in the Fast ring. Like previous Insider build 15002, this build also brings many new features for Insiders to test. 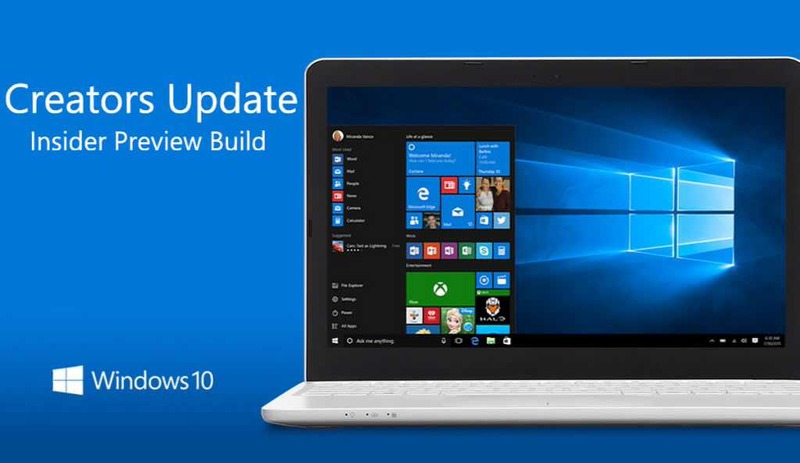 Additionally, a new mobile build 10.0.15007.1000 is now available. Last mobile build 10.0.14977 was released last year. The latest Insider build 15007 brings improvements for Microsoft Edge, you can now share tab or import data. Microsoft is also enabling new Windows 10 theme feature. Additionally, this build also brings more features to Cortana. Cortana can now help you pick up where you left off, like when you switch computers, Cortana will display quick links in the Action Center to help you easily get back into the Microsoft Edge websites and SharePoint documents you used most recently. Check out full feature list below. Sharing your tabs (PC): Windows 10 Build 15007 brings the ability to share a set of tabs you’ve set aside. Just click the “Tabs you’ve set aside” button, and under the “…” menu select the option to “Share tabs” with many apps installed on your PC. Import data (PC): Windows 10 Build 15007 make it easier to bring your data over from another browser when you switch to Microsoft Edge. The new “Import from another browser” button in Settings allows you to bring your favorites, browsing history, saved passwords, and other data from another browser you have installed, in one simple step. Web Notes improvements (PC): Windows 10 build 15007 updated Web Notes to now leverage the familiar Windows Ink experience you’ve come to know in Photos and Maps, amongst other places. Download themes for your PC from the Windows Store (PC): Soon, you’ll be able to go directly from the themes setting page directly to the Windows Store to download new themes for your PC. Cortana can help you pick up where you left off (PC): If you have multiple PCs, you probably know how cumbersome it can be to find everything you need to resume work after switching between PCs. Cortana can now help with that! When you switch computers, Cortana will display quick links in the Action Center to help you easily get back into the Microsoft Edge websites and SharePoint (or other cloud-based) documents you used most recently. For example, if you were working on a PowerPoint deck on your laptop, when you later return to your desktop, a link to that deck appears in Action Center. Or perhaps you’re browsing recipes in Microsoft Edge on your PC downstairs, and grab your laptop to go bake up a storm in the kitchen, Cortana will be there for you and have a link to that recipe ready to go. In adding this feature, we’ve also updated Cortana to take advantage of notification grouping, described earlier, so you can more easily differentiate between the types of messages. Scrollbar improvements for UWP (PC): Windows 10 build 15007 brings improvements to the XAML scrollbar for the mouse to ensure it is available when you need it, while taking up less space and causing less undesirable flashing when you don’t. With these changes, the panning indicator now appears when you move a mouse over a scrolling region and the full scrollbar appears when you want to directly interact with it. Windows Hello Enrollment Improvements (PC): Windows 10 build 15007 bringing in new improvements to Windows Hello’s facial recognition. For devices and peripherals that support Windows Hello. you’ll now see a visual guidance that tracks your face in real-time. New Bluetooth APIs (PC): Windows 10 build 15007 brings the new APIs that enable GATT Server, Bluetooth LE Peripheral role, and unpaired Bluetooth LE device connectivity. Keyboard navigation improvements for the Snipping Tool (PC): You can now take a screen capture using only your keyboard. Press Alt + N, select the desired snip type and press enter, this will start the capture. Now use the arrow keys to move the cursor to one of the intended corners of your snip, and press either space or enter to start selecting your snip area. Once you have the area you want, press enter or space again to finish the capture. This keyboard navigation also works with the new Win + Shift + S keyboard shortcut. Windows 10 build 15007 fixed an issue where tearing off a tab in Microsoft Edge (using your mouse to drag a tab into its own window) might cause your PC to bug check (GSOD). An issue fixed in Windows 10 build 15007 where going to Battery settings page via Settings > System > Battery crashes the Settings app. Fixed an issue where the Virtual Touchpad was is missing from the taskbar context menu. The new build also fixed an issue where the touch keyboard button might be missing from the taskbar on touch machines. Fixed an issue where Windows Hello was giving a “Couldn’t turn on the camera” error on the Lock screen. Fixed an issue where Remote Desktop connections might unexpectedly fail due to an error saying invalid credentials (when in fact the credentials had been valid). An issue fixed in Windows 10 build 15007 that could result in the quick action section being missing from Action Center. Fixed an issue where Surface pen clicks might not work after cycling Bluetooth off/on. An issue fixed in Windows 10 build 15007 where the Data Usage page in Settings might not load. An issue fixed in Windows 10 build 15007 updated the Virtual Touchpad to be a little bigger. An issue fixed in Windows 10 build 15007 resulting in the Netflix app potentially displaying a black screen rather than the expected video content. After updating to this build, nonstop exceptions in the Spectrum.exe service may occur causing PCs to lose audio, disk I/O usage to become very high, and apps like Microsoft Edge to become unresponsive when doing certain actions. As a workaround to get out of this state, you can delete C:\ProgramData\Microsoft\Spectrum\PersistedSpatialAnchors and reboot. We are investigating certain situations in which PCs might bug check (GSOD) during the installation of new builds (15002+) causing the PC to rollback to the previous build. 3rd party UWP apps would crash on devices if the DPI settings on the machine are >=150% (Generally people do this on high-resolution devices – Surface book etc.). When using Microsoft Edge with Narrator, you may hear “no item in view” or silence while tabbing or using other navigation commands. You can use Alt + Tab when this happens to move focus away from and back to the Edge browser. The narrator will then read as expected. ADDED 1/13: If you’re experiencing an issue getting stuck at 0% downloading this build – check out this forum post. ADDED 1/13: During the installation of this build, Insiders may experience a storport.sys bugcheck (GSOD) causing them to rollback to the previous build. There is currently no workaround. ADDED 1/13: If you’re experiencing an issue where your PC gets to 99% and appears stuck – sit tight and don’t do anything (such as rebooting). There is a bug causing the installation to take an abnormal amount of time. ADDED 1/13: On some PCs, audio stops working sporadically with ‘device in use’ error”. We are investigating. Restarting the audio service may fix things for a bit.